Avalon Advanced Materials is a Canadian mineral development company specializing in niche market metals and minerals with growing demand in new technology. Avalon Advanced Materials (TSX:AVL,OTCQX:AVLNF) is pleased to report that further to the company’s news release of June 28, 2018, Avalon has finalized its preliminary economic assessment (PEA) on the East Kemptville tin project. Avalon Advanced Materials is a Canadian mineral development company specializing in niche market metals and minerals with growing demand in new technology. 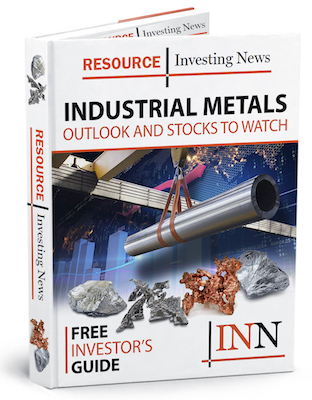 The company has three advanced stage projects, all 100 percent-owned, providing investors with exposure to lithium, tin and indium, as well as rare earth elements, tantalum, niobium, and zirconium. Avalon also held key meetings with Ministry of Natural Resources officials in Yarmouth, Nova Scotia last week toward achieving a streamlined permitting and approvals process for the project. The re-development model, as presently conceived, is an environmental remediation project that will be financed through the sale of tin concentrates recovered in large part from previously-mined mineralized material on the site. From day one of operations, Avalon’s model provides for a reduction in the long term environmental liability and eventual full rehabilitation of this brownfield site. Due to this, it is anticipated that the permitting and approvals process will be much shorter than for a greenfield mine development. There is strong community support for the Project, as well as from local politicians, First Nations and environmental NGOs. Avalon is also in discussions with a number of local businesses towards collaboration on future opportunities including, among others, a long-term vision for turning the rehabilitated site into a solar power generation facility.